"Intense 6 months of HERCULES to now Hobbs (Fast & Furious). Shooting starts now." The movie also stars Ian McShane, Rufus Sewell, Joseph Fiennes, Peter Mullan, John Hurt, Rebecca Ferguson, Ingrid Bolsø Berdal, Aksel Hennie, Reece Ritchie, and Tobias Santelmann. It's set to be released on July 25th, 2014. What do you think of Johnson's look? Haunted by a sin from his past, Hercules has, in the film, become a mercenary. Along with five faithful companions, he travels ancient Greece selling his services for gold and using his legendary reputation to intimidate enemies. 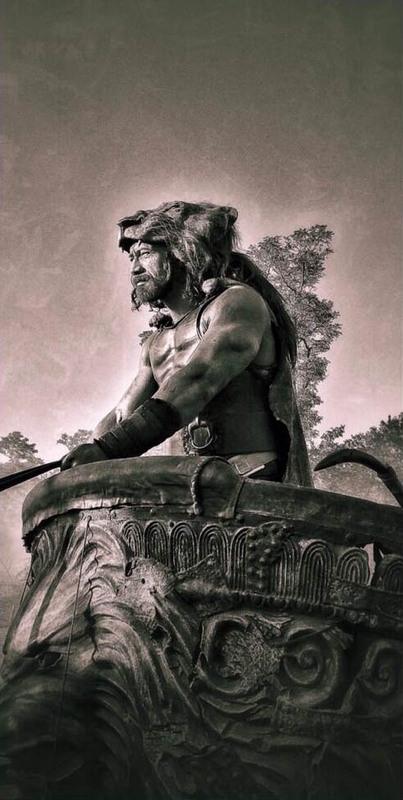 But when the benevolent ruler of Thrace and his daughter seek Hercules' help to defeat a savage and terrifying warlord, Hercules finds that in order for good to triumph and justice to prevail... he must again become the hero he once was... he must embrace his own myth... he must be Hercules .